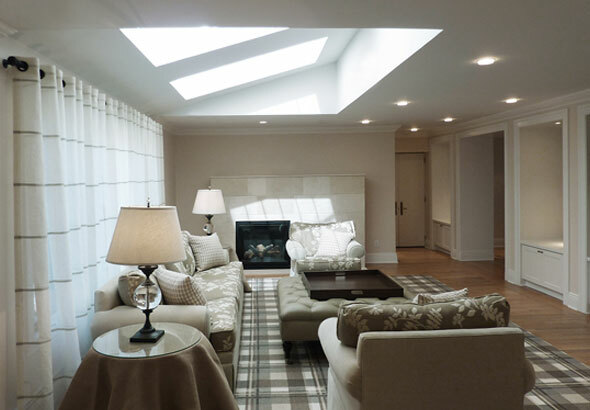 This suburban home required a complete intervention when this young family purchased it. 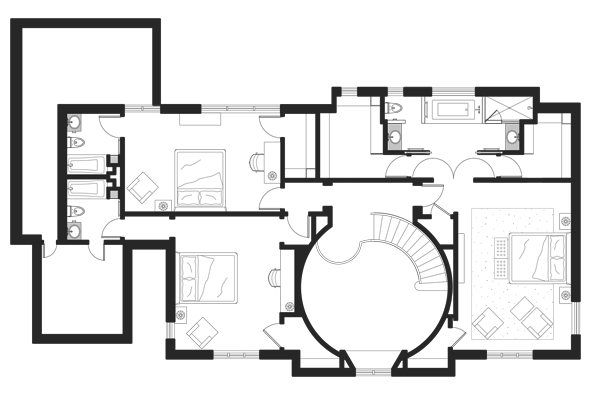 The floor plan was impractical and unnecessarily cramped, and the finishes throughout were extremely dated. 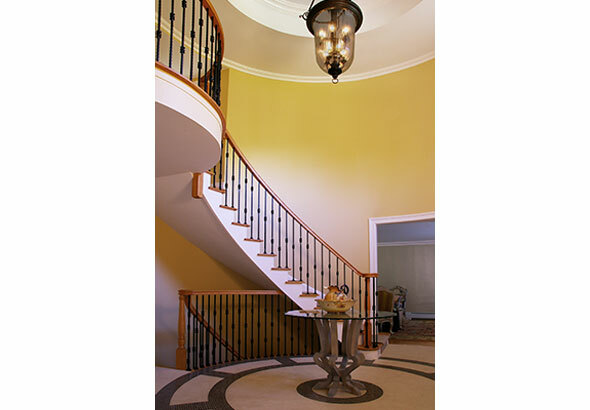 By removing a small upstairs bedroom, the entrance hall became a grand two-story, circular entry foyer. 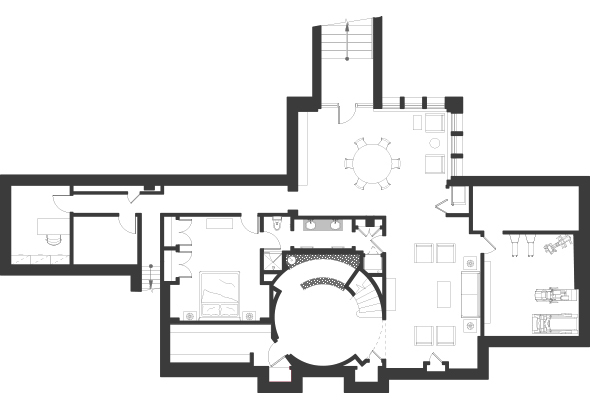 The lost bedroom was relocated to a former garage and made into a second “master” suite for the couple’s visiting parents. 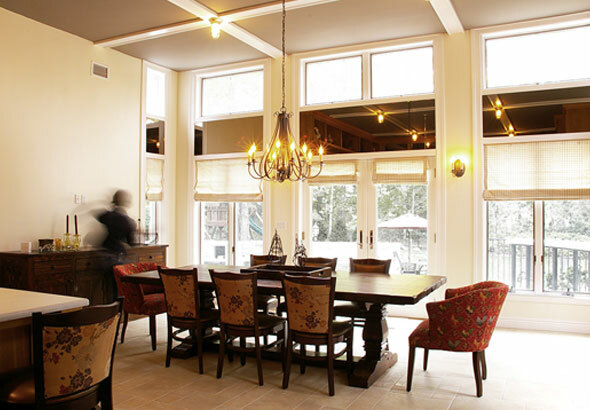 The eat-in kitchen is the home’s new center with direct access to a large patio and pool. 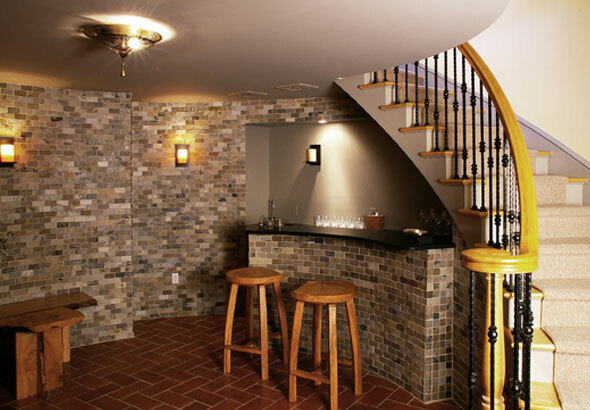 The basement was outfitted with a wine cellar for the couple’s collection, and a dedicated tasting room and bar. 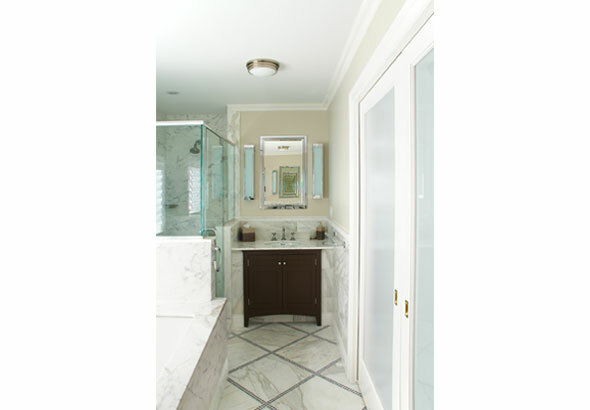 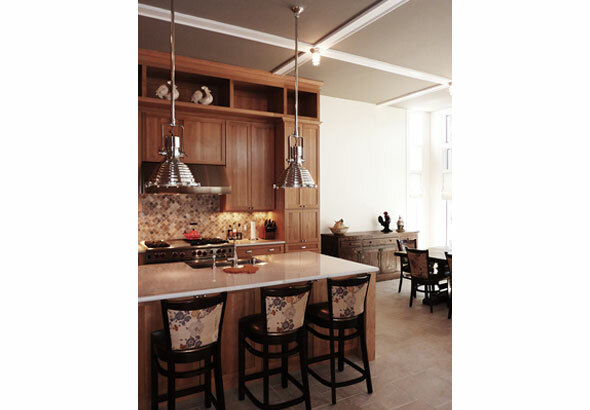 The entire home was fitted with new lighting, finishes and custom furnishings to bring it into the 21st century. 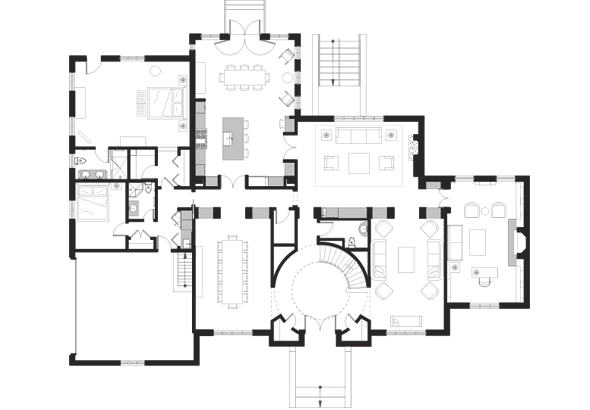 With interplay between an added architectural “spine” and two-story foyer, the home is now spatially organized both horizontally and vertically.